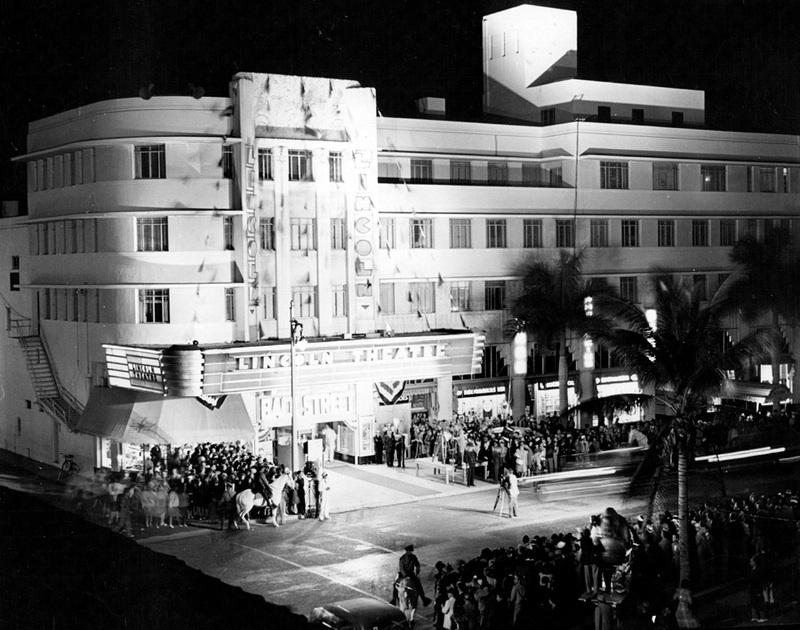 The first proper movie theater in Miami was Kelly’s Theater in 1906, which sat on the south side of Flagler near the old Burdines. 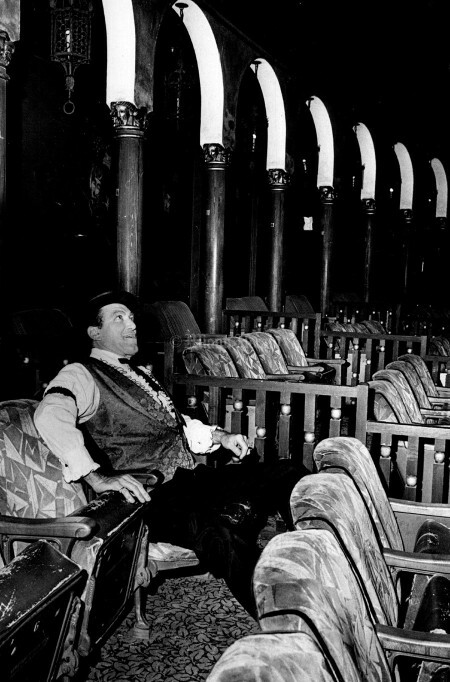 Kelly’s gave way to the more palatial theaters with sloping floors, roomy seats, and chandeliers. The 1950s and 1960s saw the birth of the Riviera in Coral Gables, Suniland in what is now Pinecrest and the popular Dadeland Mall theater. 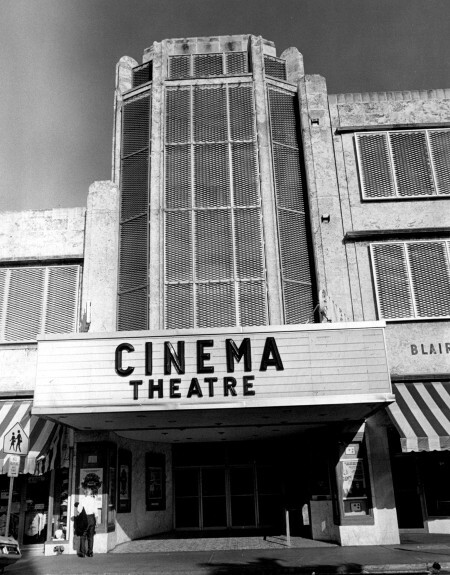 By the 1990s most of the grander palaces were gone, but some of the buildings remain: The Olympia, which became the Gusman Center on Flagler; The Miracle, which is getting its marquee and box office restored; The Shores in Miami Shores, which hosts The Miami Theater Center and O Cinema’s presentation of independent, foreign and art films; The Tower in Little Havana is run by Miami-Dade College and Overtown’s historic Lyric Theater, which showcases live performances in the restored venue. Drive-in theaters didn’t fare so well. The only one in South Florida is at the Fort Lauderdale Swap Shop and there are seven more outdoor theaters scattered throughout the state. 1978: Miracle Theater on Miracle Mile at Coral Gables. 7/30/1976, Mary Lou Foy/Miami Herald Staff: Paramount's Lou Weinstoch takes rest in balcony seats. 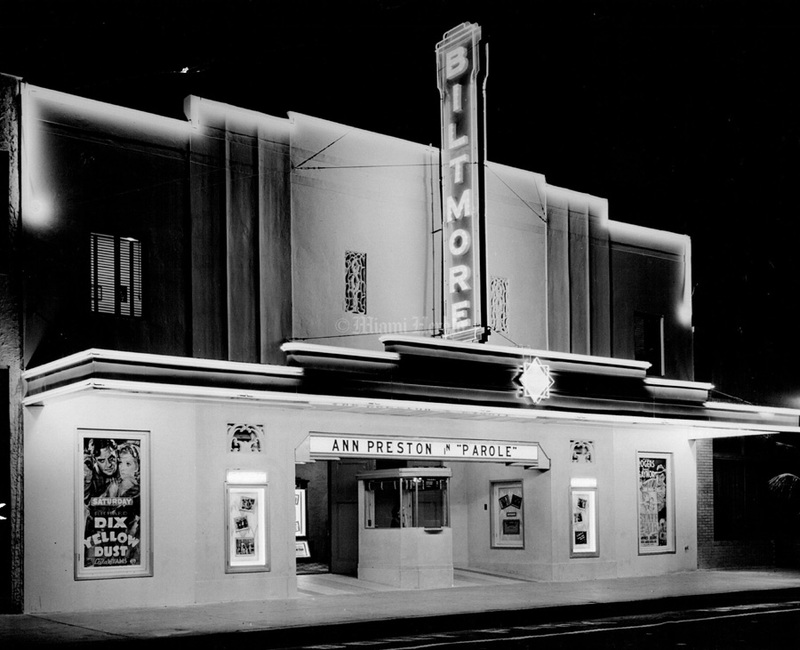 9/3/1936: Biltmore Theater, Buena Vista. 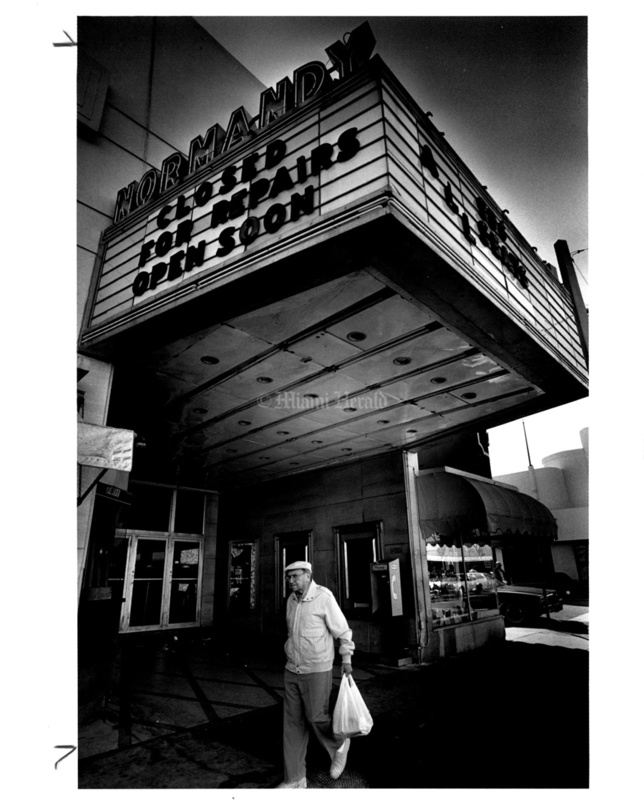 Undated, Mike Freeman/Miami Herald Staff: Ghost-a-thon at paramount theatre. 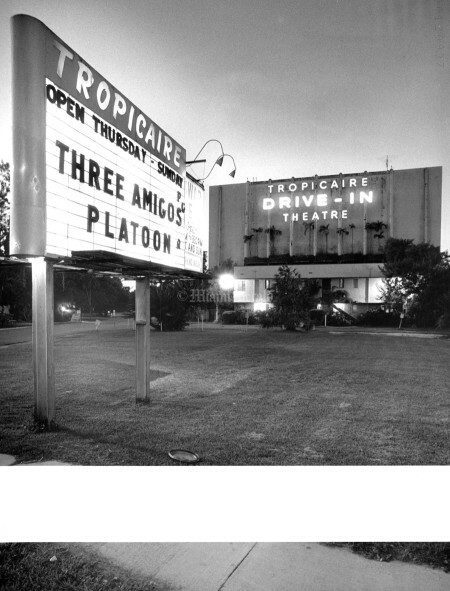 7/10/1980: Tropicaire Drive In Theater. 12/8/1987, Randy Bazemore/Miami Herald: Normandy Theater closed for renovation. 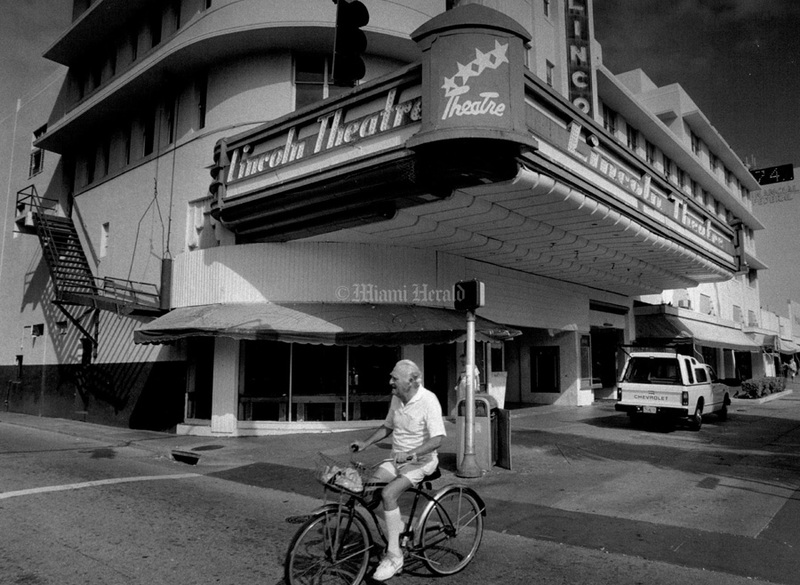 9/1/1977, Miami Herald: Richard Fendleman, owner of Grove Cinema. 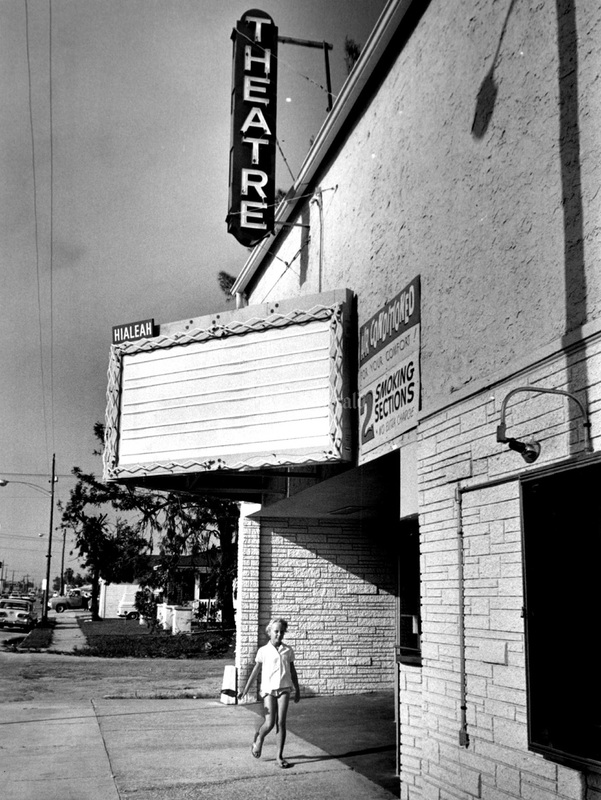 10/8/1964, Albert Coya/Miami Herald Staff: Family Theater in Hialeah. 7/9/1950, Miami Herald Staff: Movie theater provides baby-sitters. 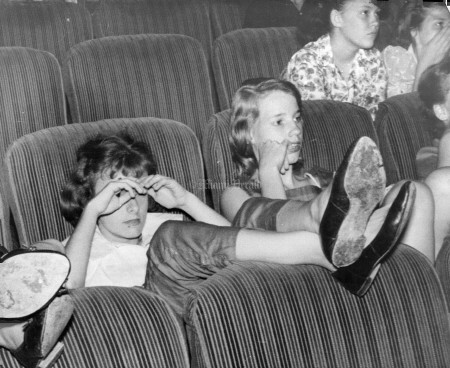 The proverbial hand that rocks the cradle may shell out money for an occasional movie these days with the added comfort of checking junior in the theatre's baby-sitting service. At least that's the luxury afforded by a Hialeah motion picture house which hopes to expand the idea to their units of its chain if it proves popular with the community's mamas and their small-fry. 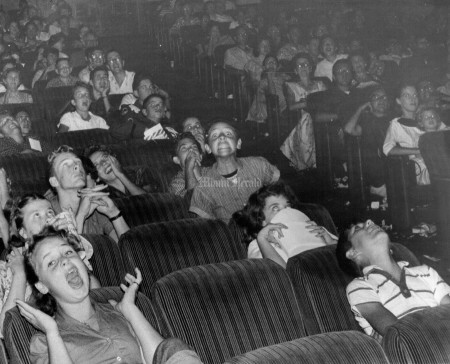 Theatre patrons not burdened with young in the first place will also benefit from the nursery since no sharp cries of infantile rage will disturb tense love scenes or fast-moving gangster action. 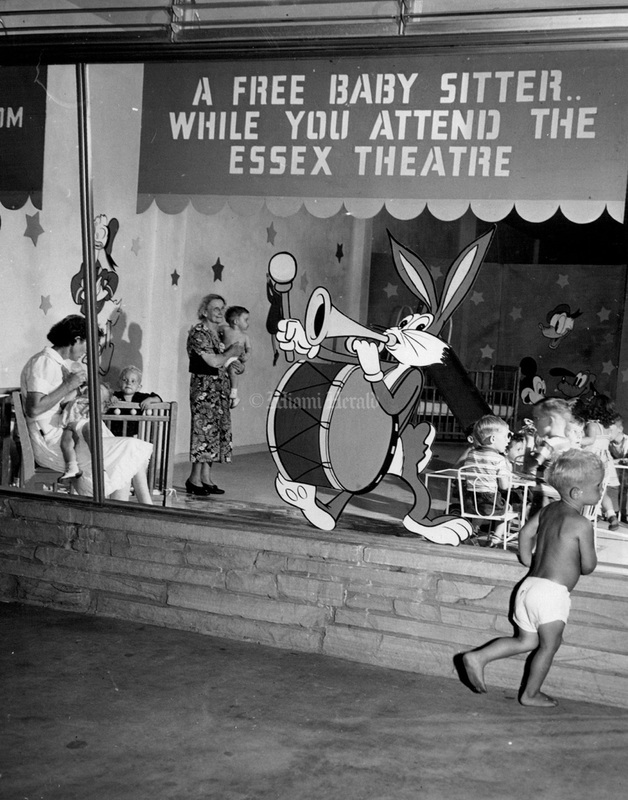 A likely customer approaches the door of the theatre nursery. The large room is outfitted with cribs for small children and with toys, swings, blocks, and books for the rest of the younger generation. 3/19/1972, Roy Bartley/Miami Herald Staff: Paramount Theater. 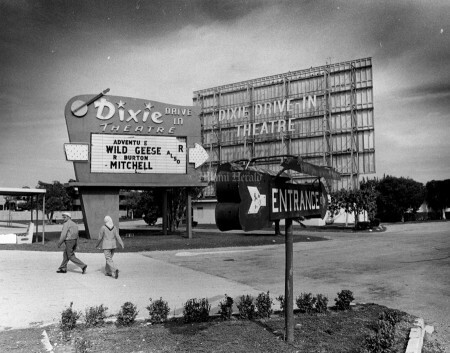 1/28/1979: Dixie Drive-In Theater on 14601 S. Dixie Highway, Miami. 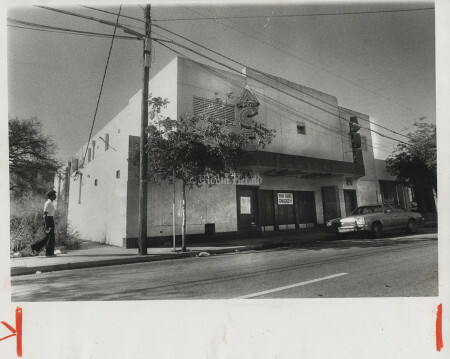 1/10/1989, Randy Bazemore/Miami Herald Staff: Rundown Lincoln Theater will be the new home for the New World Symphony. 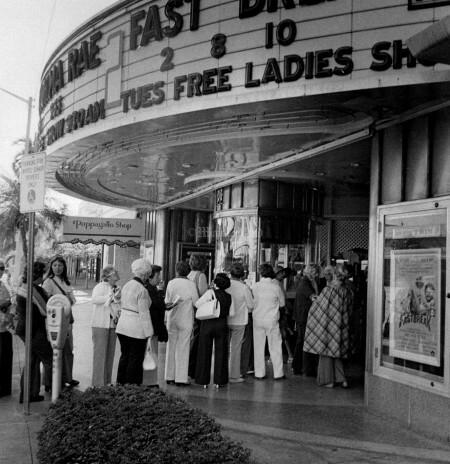 1979, Miami Herald Staff: Grove Cinema. Waitng in line to see Rocky II. 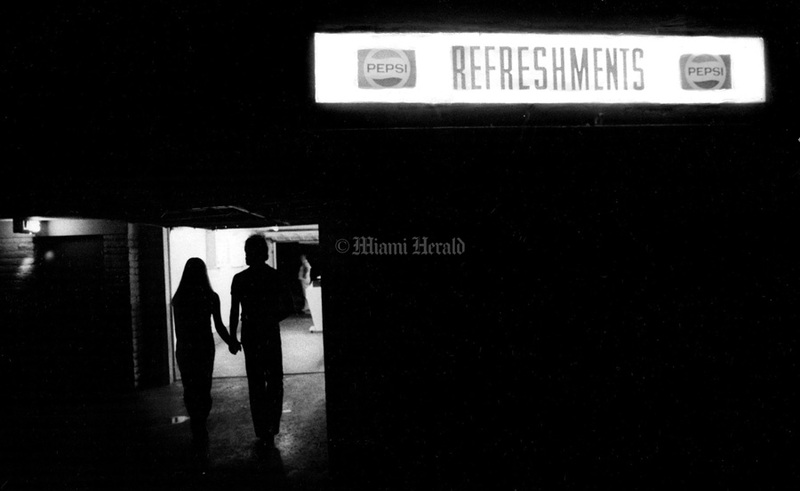 3/20/1971, David Smith/Miami Herald staff. 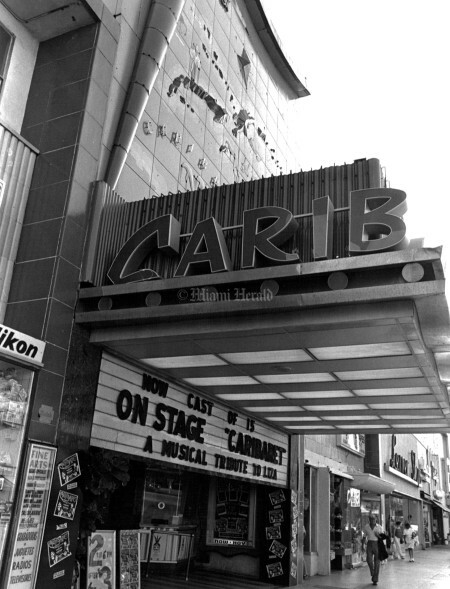 The Carib Theatre on Lincoln Road. 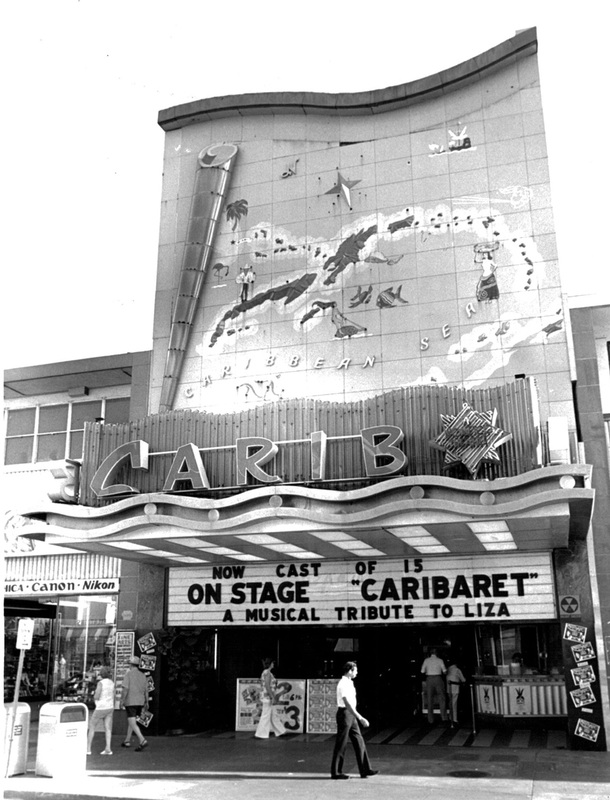 Its sign features a raised porcelain facade that reveal a colorful map of the Caribbean area, including the southernmost portion of Florida. The facade is brilliantly lighted after dark by hidden and vari-colored lights. 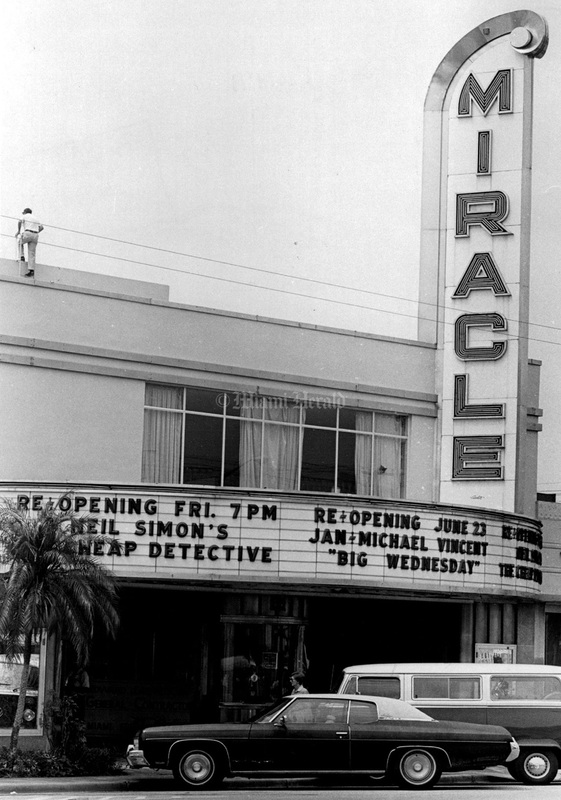 The marquee, made of plexi-glass, simulates the rolling surf. 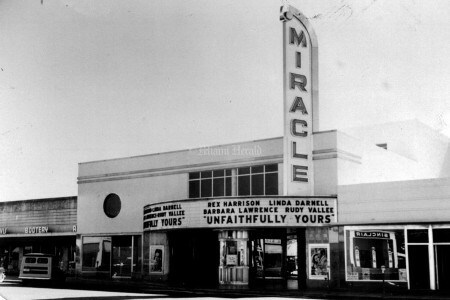 The theatre was designed by Architect Michael DeAngelis. 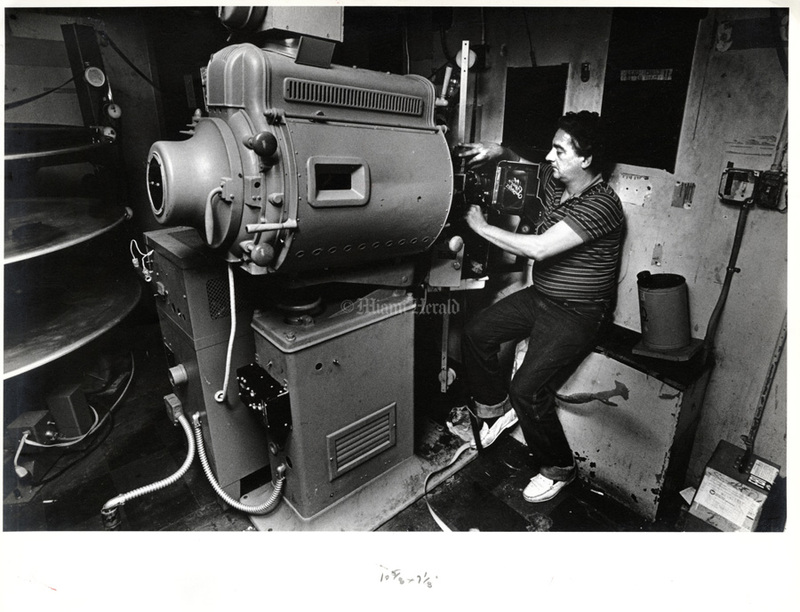 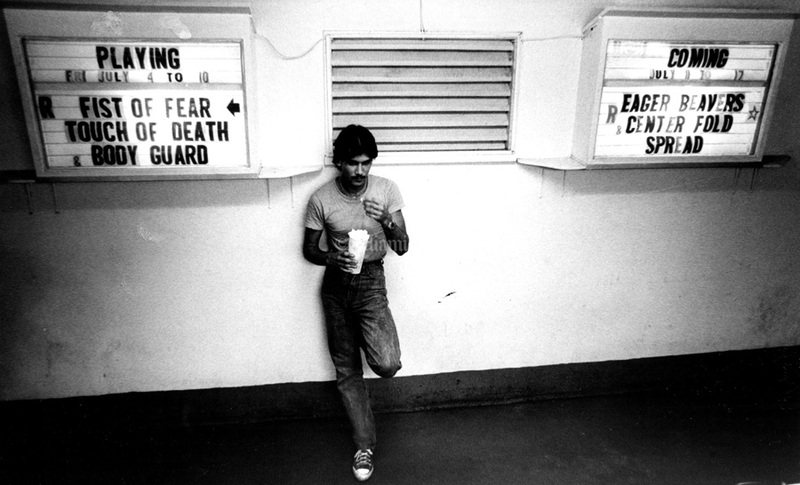 2/24/1985: Jose Rafael Aguila runs the projector at the Cameo Theater. 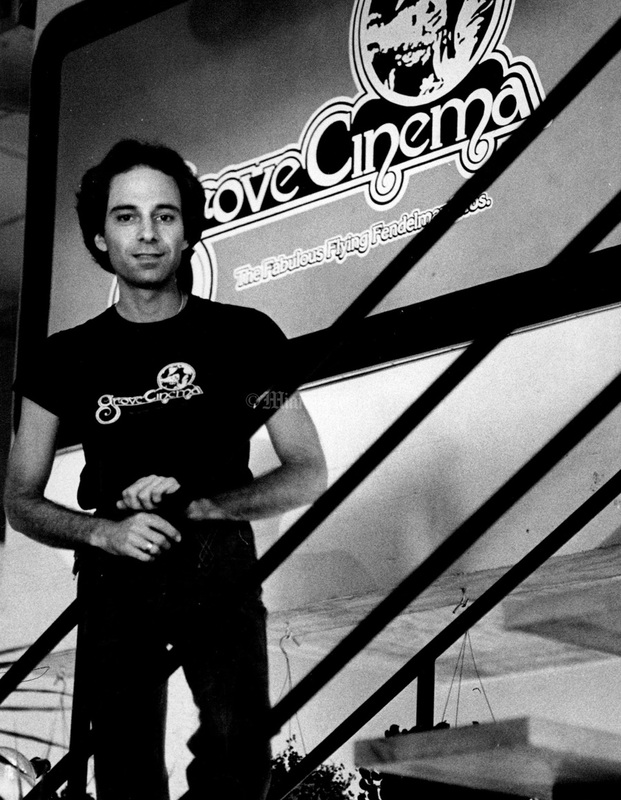 One of his many duties as owner. 7/9/1987, Dezso Szuri/Miami Herald: Tropicaire Drive In Theatre. 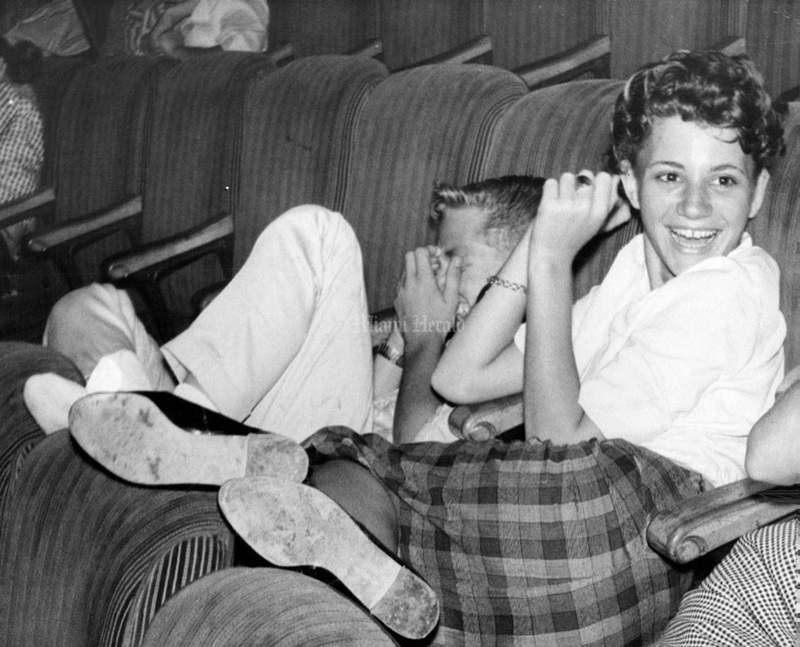 1961: Lincoln Theater during the premier of Back Street starring Susan Hayward and John Gavin. 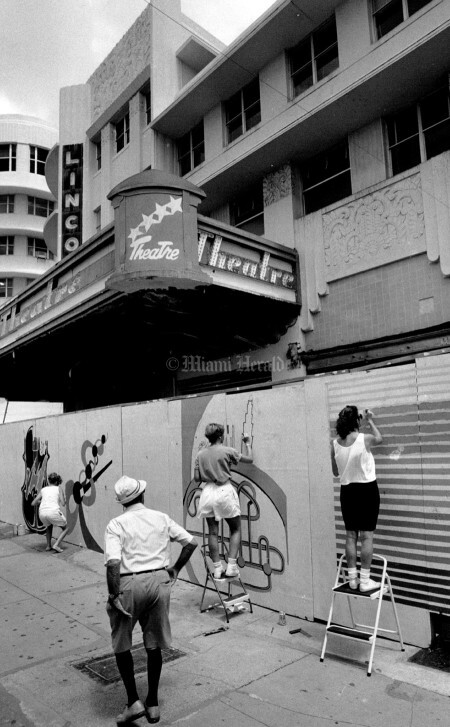 2/24/1985: Randy Bazemore/Miami Herald Staff -- Industry changes and the scarcity of young moviegoers have made dinosaurs of the beach's old single screens. But Luis Izquierdo and Jose Rafael Aguila took the challenge. 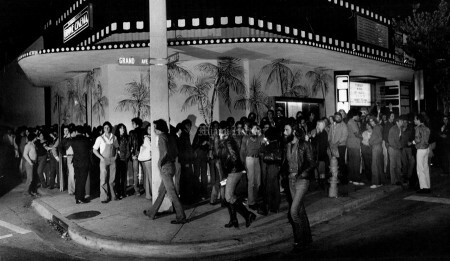 They reopened the Cameo, with its open balcony and 1,056 seats, and set about searching for the right mix to draw an audience. 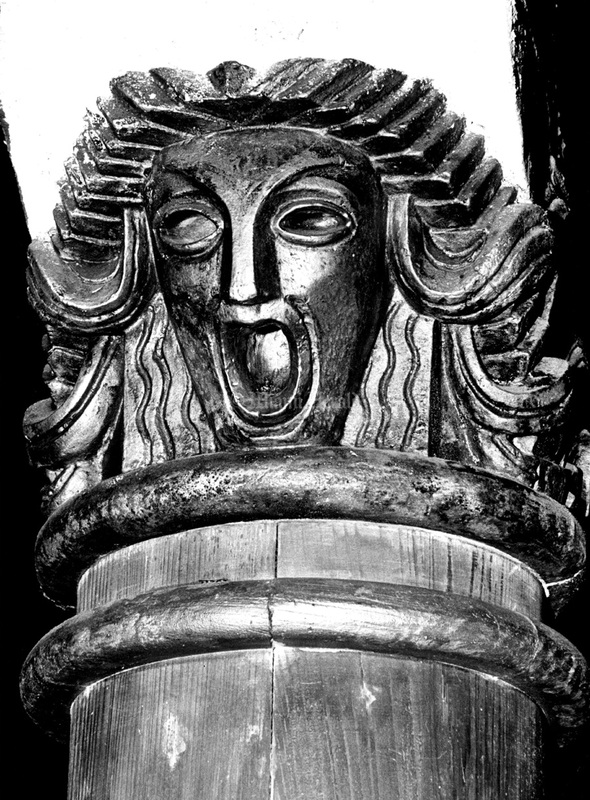 Undated: Mary Lou Foy/Miami Herald Staff: Paramount Theatre carving. 3/20/1971, David Smith/Miami Herald staff: The Carib Theare on Lincoln Road. It's sign features a raised porcelain facade that reveal a colorful map of the Caribbean area, including the southernmost portion of Florida. The facade is brilliantly lighted after dark by hidden and vari-colored lights. 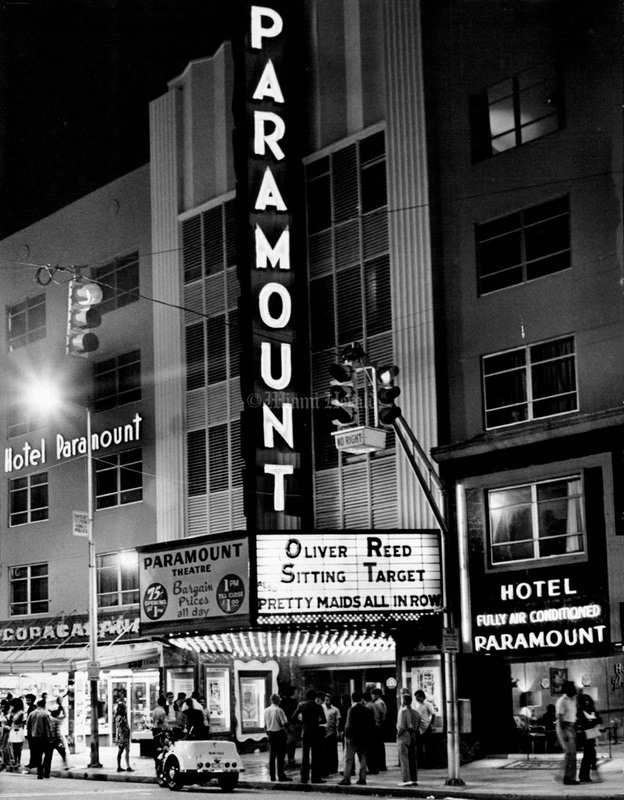 The marquee, made of plexi-glass, simulates the rolling surf. The theatre was designed by Architect Michael DeAngelis. 7/18/1989, Brian Smith/Miami Herald: Art students from area colleges put the finishing touches on murals along a construction fence in front of the Lincoln Theater. they are taking part in a competition sponsored by the Lincoln Road Development Corp to welcome the New World Symphony to LRM. 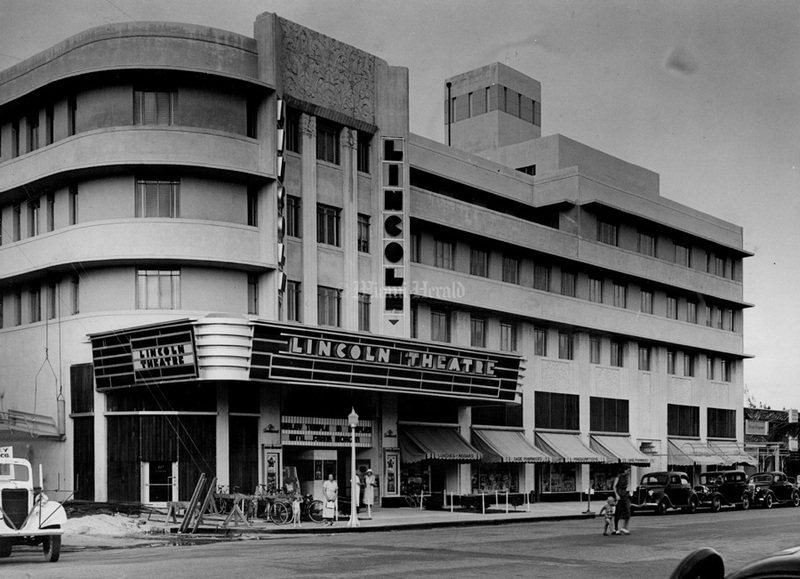 The symphony has purchased and is renovating the Lincoln theater. 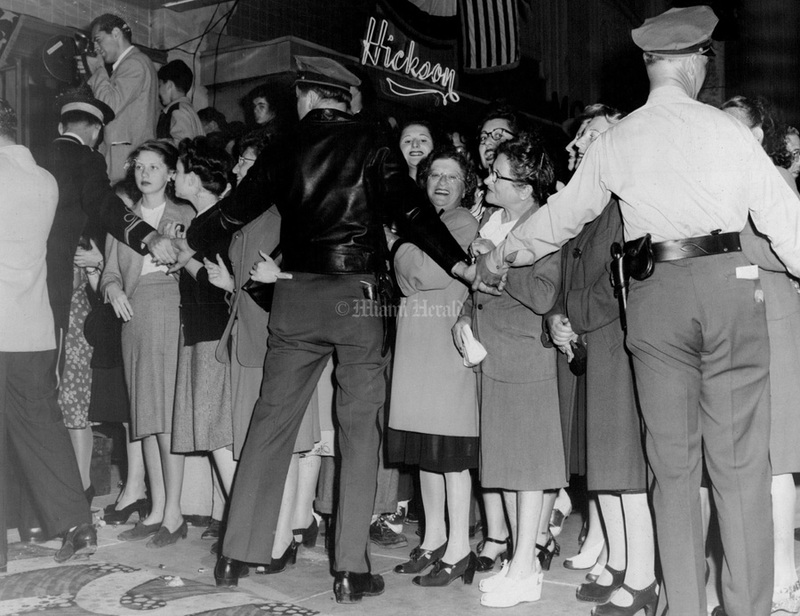 2/19/1947, Miami Herald Staff: Crowds are being held back at movie premier in Lincoln Theater. 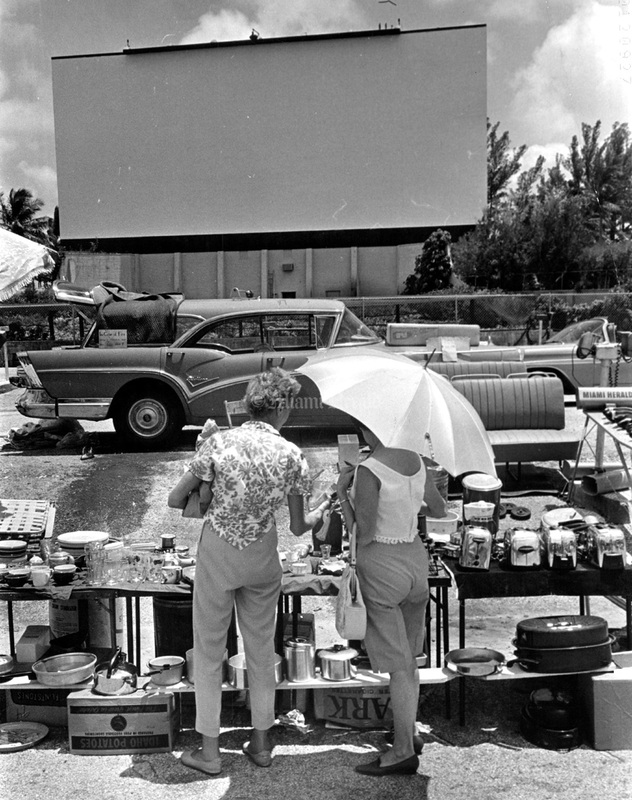 7/23/1964: The drive in screen are is empty while a lady bargain shops with parasol. 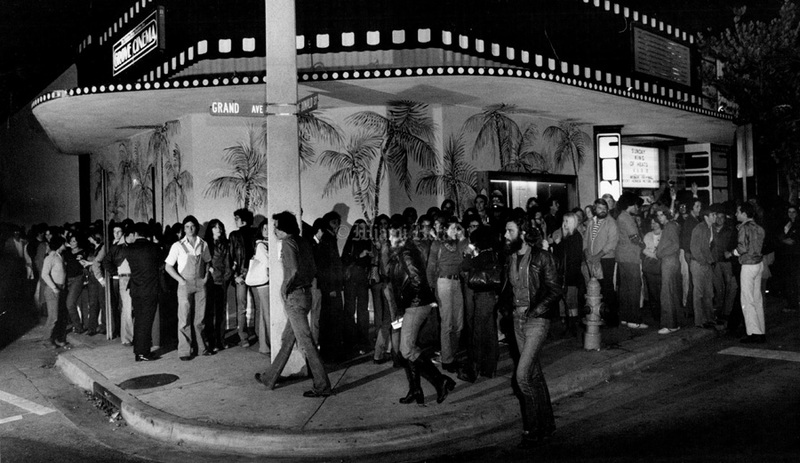 3/20/1977, David Smith/Miami Herald Staff: Cinema Theater, Miami Beach.